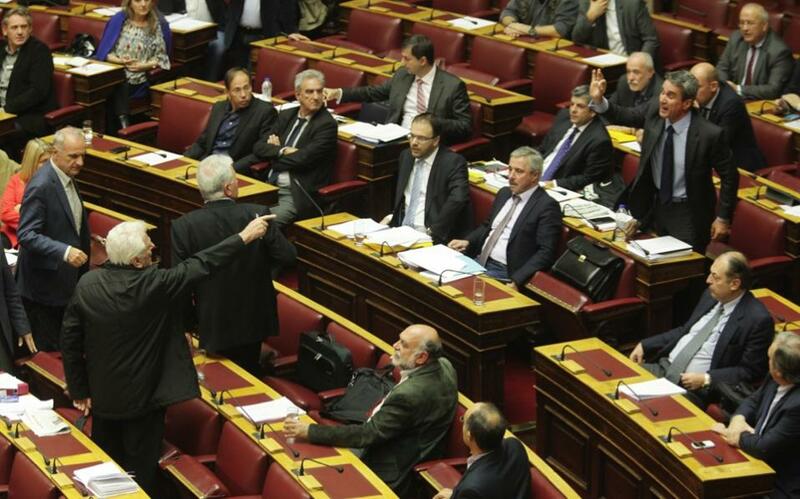 Parliament was due late on Thursday night to pass its second multi-bill in recent weeks to move Greece a step closer to receiving its next installment of bailout funding. The omnibus bill contains a series of measures that have been demanded by Greece’s lenders so they can release the next 2-billion-euro tranche when eurozone finance ministers meet on Monday. However, the draft legislation, expected to be approved by all 155 coalition MPs after a contentious measure on taxation for microbreweries was removed, will not be enough on its own to secure more funding. The government is expected to settle another four outstanding matters over the next few days to allow the Eurogroup to give the green light for the disbursement. One of the issues that remains to be resolved is how Greece will deal with unpaid mortgages and other nonperforming loans. Earlier this week, European Economic and Monetary Affairs Commissioner Pierre Moscovici indicated that an agreement on bad housing loans, and in what cases primary residences can be repossessed by banks, would have to be agreed with lenders by Monday’s Eurogroup. During an event in Athens on Thursday, Economy Minister Giorgos Stathakis said he expects the government to come up with a plan for nonperforming business loans by the end of the month. In parliamentary activity not related to the bailout, the government on Thursday submitted a controversial amendment putting on hold for at least five years all demolitions of illegal buildings on forestland, arguing that it will wait for the drafting of the country’s forest maps to be completed and any disputes to be settled on that basis before allowing demolitions to take place. Critics argue that this process could take decades to complete as just 22.5 percent of the required maps have been drawn so far and of these a mere 0.56 percent have been rubber-stamped. The amendment was initially proposed by Interior Minister Panayiotis Kouroublis following a series of complaints from local authorities and owners whose properties were slated for demolition in the eastern Attica suburbs of Rafina and Artemida, challenging the legality of the decision. The only forest map for eastern Attica that has been completed and approved is for the area of Marathon. The demolitions that were due to take place were the result of cases that had been through the courts and the appeals process. However, the amendment submitted on Thursday essentially requires local authorities to ignore these verdicts by not knocking down any illegal structures, at least for the next few years.